Oh no!! Don't ask me how but I managed to delete this entry by accident and this is what I've been able to recover. If you are coming to visit me from a challenge blog, don't think that I didn't link to you on purpose, it's that I don't remember the challenges that it was entered in. But if you leave me a message I will add the link again. Today is day of new releases at Aliciabel Challenge Blog . 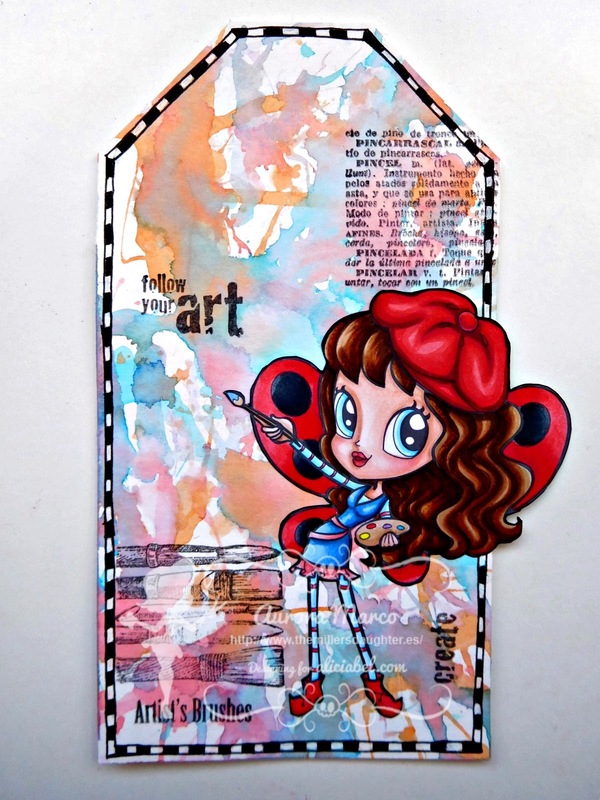 This week we have a new collection of fairies with different aptitudes. I coloured this Fairy of Creativity. It was fun creating that messy background for her. Fairy of Creativity from Aliciabel.com. 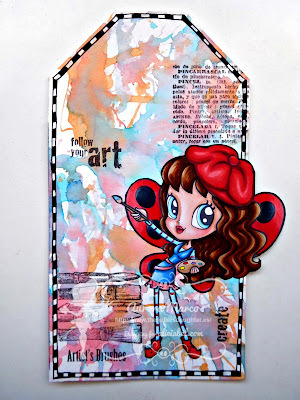 Paperbabe Stamps Challenge #31 ~ Anything Goes!